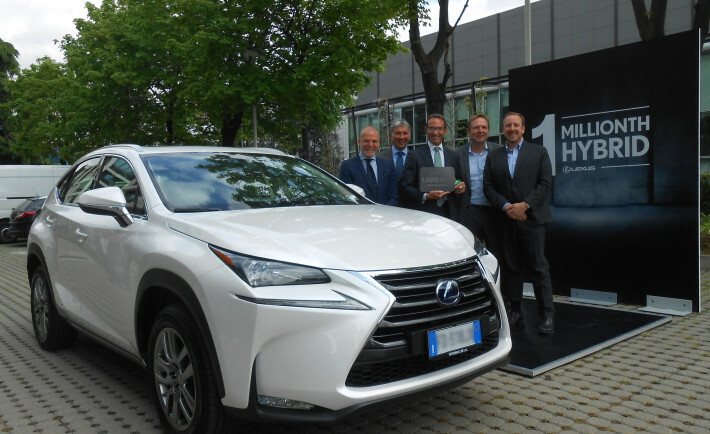 LEXUS, Toyota world number one manufacturer of automotive and promoter of hybrid cars do the honor to announced, that Lexus hybrid achieve One Million global sales in 11 years, after the first Lexus hybrid was sold. Lexus, known as the premium hybrid car brand especially in Western Europe, clearly proud of selling so many Hybrids. Lexus says that UK is one of the strongest European market at the end of 2015, they sold 65,246 hybrid here. Lexus manufactures 10 hybrid vehicle lineup models, with more in the way. This milestone was reached almost exactly 11 years. Lexus launched it first luxury hybrid sedan RX 400h in April 2005 then GS 450h in 2006. In 2007, first powerful luxury hybrid sedan LS 600h was unveil. HS 250h in 2009 and in 2011, first luxury hybrid compact hatch CT 200h was revealed. ES 300h and IS 300h launched in 2012, GS 300h in 2013 and NX 300h showcase in 2014 it was the first hybrid luxury crossover, which was launched globally at the end of 2015. Earlier this year Lexus introduced LC 500h coupe. The LC 500h delivers thrilling performance and greater efficiency via the world’s debut Multi Stage Hybrid System, the next generation of hybrid powertrains, that designed for performance vehicles. It features ‘M’ Mode- the first driver-initiated gear shifts that provide direct and responsive changes. LC 500h will go on sale globally but in Australia next year.